CDN(content devilry network) का goal होता है user को fast content delivery करना.CloudFlare Free CDN का use करके आप easily अपने WordPress blog पर content delivery network active कर सकते है.And अपने blog की speed बढ़ा सकते है. 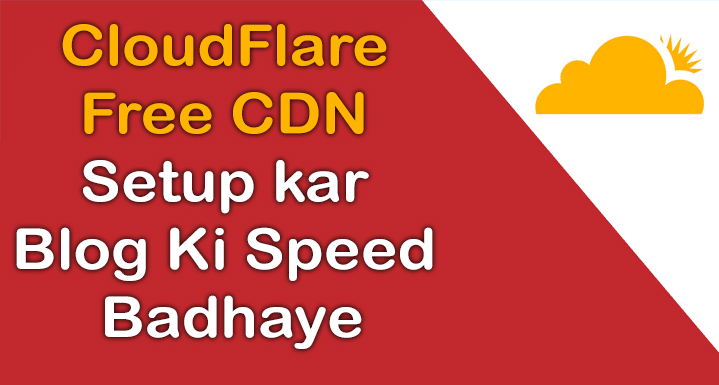 CloudFlare Free CDN को active करने के लिए बस आपको अपने name servers को replace करना पढता है and CDN automatically आपके blog की speed बढ़ा देता है,this also improve ySlow grade of your blog. CDN(Content Delivery Network) क्या है ? 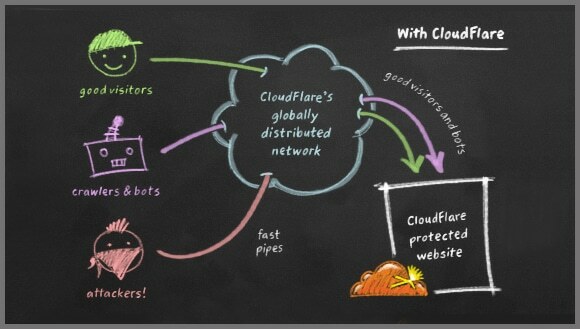 CloudFlare Free CDN Work कैसे करता है ? Content delivery network के data center अलग – अलग geographical location पर होते हैं और जब आपकी site एक CDN network use कराती है, और कोई reader आपकी site खोलता है तो आप जो CDN network use करते है, उसके nearest data center से आपके files (images, static files) serve किये जाते हैं. यह ping, latency को कम करता है और इस तरह से आपकी site तेजी से load होती है. आप नीचे दिए गए image के through समझ सकते है की CDN कैसे work करता है. आपके पास CloudFlare का Account होना चाहिए,अगर नहीं है तो आप cloudflare.com पर जाकर register करे. CloudFlare account में अपने website/blog को add करे. 60 second DNS testing के बाद,वह आपसे misssing DNS record को add करने को कहेगा. Missing DNS record find करे and उसे अपने CloudFlare account के DNS setting में add कर दे. Missing DNS add करने के बाद ‘I’ve added all missing records’ button पर click करे. CloudFlare account के लिए price choose करे.मेरे ख्याल से आप FREE account ही choose करे.And उसके बाद ‘Continue’ button पर click करे. Now,जहाँ से अपने domain name ख़रीदा हो,उस account में जाये and Cloudflare के द्वारा दिया गया name server के साथ अपने name server replace करे. Thats it,Name server update करने के बाद 24 hours wait करे,इसके बाद automatically आपके blog पे cloudflare enable हो जायेगा.आप Gtmetrix का use करके अपनी blog की speed test कर सकते है. Read – WordPress Blog के लिए Right Web Hosting कैसे Choose करे ? 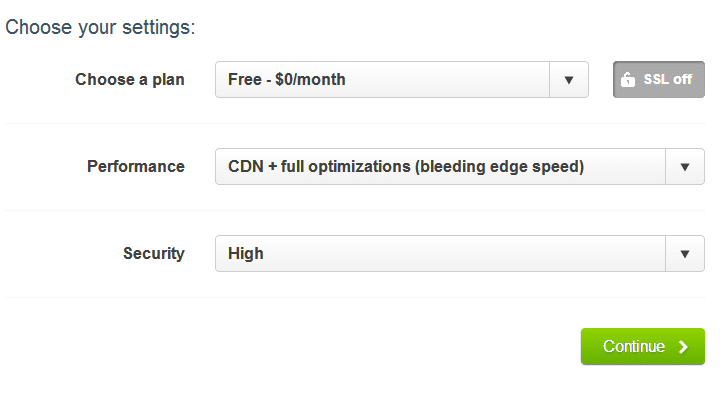 Download, Install, and activate the CloudFlare CDN plugin. Go to Go to Plugins > CloudFlare. Cloudflare API key enter करे and जो email Id आपने cloudflare sign up करने के लिए use किया था उसे enter करे. अगर Cloudflare plugin का use नहीं करते तब भी आपके blog पर CDN enable रहेगा,But इस plugin के use से आपके blog की security and IP address correct रहेगा. So,Friend मैंने इस article के through Fast तरीके से आपको To the point step by step बताया है की cloudflare Free CDN अपने Blog पर कैसे active कर सकते है.अगर आपको कोई error और problem हो तो आप comment के through पूछ सकते है. name server replace kare ye kaha karna hai ye bhi bata dete. इससे website में https कैसे enable करेंगेऔर https enable करने के बाद SEO issue को कैसे सही करेंगे? Iske Kya kya Profit hain? #haidar ji,Aap blog me CDN enable karke apne blog ki speed badha sakte hai,and cloudflare Free CDN hai,iska main advantage yahi hai.